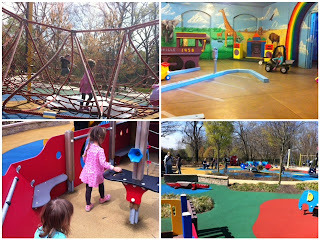 This week we took a road trip to Smith Kids Play Space in the Park. Smith is located in Fairmount Park in Philadelphia, just a few miles from the Philadelphia Zoo and The Please Touch Museum. From Baltimore it took us about an hour and forty five minutes to get there, but with so much to do nearby you could easily make it a day or even weekend trip. 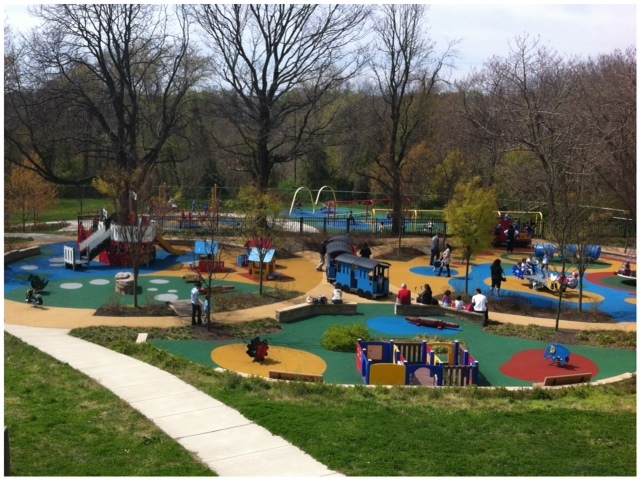 There are two parts to Smith, the first is a 6 1/2 acre playground for children 10 and younger that is open April 1st through October 31st with weekend hours though December. Smith is a non-profit and while there is no admission they do suggest a $5 donation per family, which seems more then fair when you see all the stuff to do there. The playground is huge, with lots of different areas including a toddler area (for kids 5 and under) with a train, pirate ship and fire engine. There is plenty of cool playground equipment, much of which I have never seen before (and we have seen a lot of playgrounds) but the most famous thing about Smith is the big slide. The large wooden slide was added to the playground in 1905. Today there long wooden walkway for kids to get to the top, they then slide down on burlap sacks. While the Bee was a little nervous at first, the Bean (almost 2) and our friend G (almost 3) couldn't get enough, they loved it. After a morning on the playground we made our way to the Playhouse at Smith. The playhouse is a beautiful, large building that was built in 1899 by the Smiths and was always intended and used as a play place for children. Filled with different rooms, each with different play areas and toys, it is opened most of the year to children 5 and under. The Playhouse has a large porch that wraps all around with picnic tables and benches perfect for picnic lunch. Inside the Playhouse we spent most of out time in the basement which was set up with parking meters, a gas station, parking spots, roads and many, many tricycles and ride-ons. The girls all loved driving around. 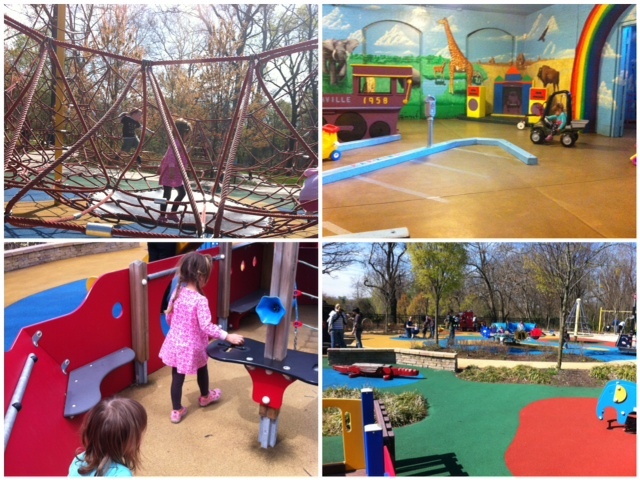 Overall Smith was definitely worth the trip, a fun place for play!